From the popular online RPG 'Lineage II' comes a 1/7th scale figure of one of the playable races in the game, the Kamael! 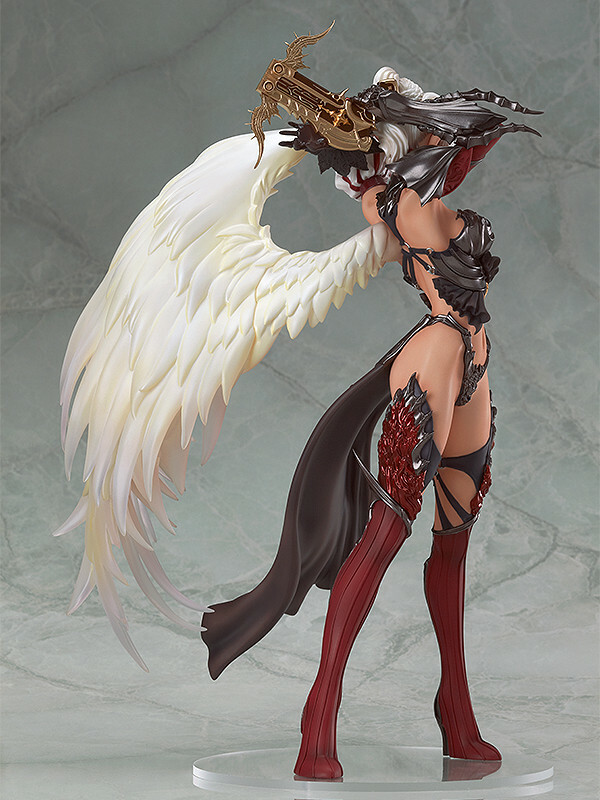 The figure faithfully depicts the class based on one of the image illustrations from the game, which shows off the impressive single wing as well as her stunning body and unique armor all at once. The figure is filled with highlights for fans to enjoy, from her cunning smile with a seductive charm to it, to her beautiful wings which make partial use of clear parts and even her intricate armor which has been sculpted and painted down to the smallest of details! Her beauty is sure to charm anyone who looks upon her! Painted 1/7th scale PVC figure with stand included. Approximately 240mm in height.